Landscapes, mountains and rivers are classical themes of traditional Chinese paintings. Artist Xu Xi, 73, has spent the latter of his career painting urban scenes, inspired by the ink paintings of the East and colour of the West. 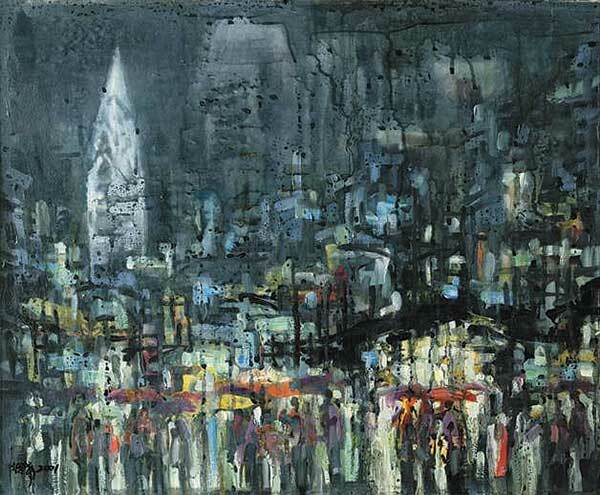 The energetic painter recently held a retrospective exhibition of his works at the National Art Museum of China in Beijing, Over 150 pieces of his work is shown over a period of 40 years, whereof 10 years he spent in New York. These painted landscapes include ancient cities in Hunan province to modern cities like New York and San Francisco. Xu combine our city lives with the spirit of natural landscapes in his own way with water-colours.